Aragona is an end-to-end integrated marketing agency. From marketing research and analysis to strategies, writing, and design, our services establish strong brands that stand out in crowded markets. Our unique and flexible agency model is built on a core team of specialists and an extended network of 30+ seasoned experts in a variety of marketing fields. We work as an extension of your team to tailor marketing programs and services that fit your unique business needs and market vision. B2B Sales Connections is a sales training and consulting, process driven company specializing in helping clients achieve greater sales success through the use of online training, recruiting and marketing services for both the employer and employee alike. Class5 Holdings Ltd acquires small stable businesses, transitions them to maintain their essential character, and oversees their operation going forward. 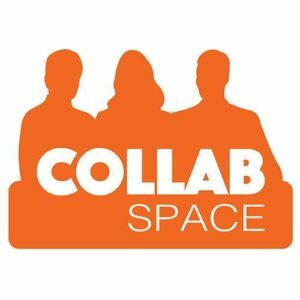 Collab Space (Collab) is an incubator inspired coworking facility in Ottawa Ontario that gives owners of startups and established small businesses a place to work in a professional environment, amongst a community of collaborative, growth-oriented peers. With access to on-site mentors, meeting rooms, roundtable discussions, networking events, free parking, a comfortable lounge, and the ability to pitch to a board of investors, Collab has what Entrepreneurs require to take their business to the next level. Customer Connects® hosts inventors’ workshops, where we brainstorm NEEDS, create prototypes, and solve real problems. The working prototype and a video may be all you need to secure a licensing deal with our investors. eSAX is an entrepreneur networking community and trade show for small business to create connections, gain knowledge and promote collaboration among regional Chambers of Commerce and community/business leaders. Events are held every 3 months (January, April, July and October); originally to coincide with the Ontario Self-Employment Benefits Program. Founded in 1997, IntelliSyn was created by the merger of two IT professional service companies. One was security-oriented and the other offered IP solutions and support. The intelligent synergy between the two organizations established the company name and service offering. 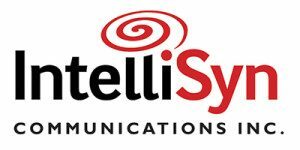 Since then, IntelliSyn has provided managed IT infrastructure services that create intelligent synergy between IT and business processes for a variety of clients using the most advanced products available. We complement and support your communication, marketing, and public relations functions and free up valuable time for you to focus on running your organization and business. 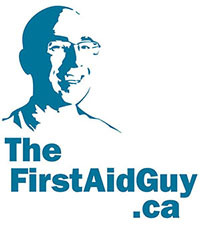 First Aid Ottawa provides quality instruction in life saving skills in a fun environment using the Red Cross First Aid & CPR/AED program. Sax Appeal is a unique professional saxophone ensemble whose specialty is to provide live music to enhance the ambiance of functions that require the finest of touches. With our distinctive sound (ONLY saxophones), Sax Appeal provides a unique musical experience by playing jazz music, classical music, or everything in-between for literally any event, ranging from weddings to retirement communities to cocktail receptions to Christmas festivities. Johnson Executive Search provides an extensive range of high level executive recruitment services for corporate and individual clients in both the private and public sectors. Whether in Ottawa or across North America, our Executive Search Process will place key players who will add value in your organization. Our interview and resume preparation services help top-level management and executive job seekers prepare for the critical first stages of the hiring process. Kyma Professional Corporation provides customized intellectual property (IP) legal services for small to medium enterprises. All services are designed to help you discover, develop, and integrate IP solutions into your plans and operations. Legal education, budgets, and management tools can be bundled with a broad range of other legal services to make sure your IP is always supporting your enterprise. Outsource Oasis is an outsourced sales contractor. We are a network of senior middle managers from the computer/telephony industries with a common interest in the emerging infrastructure of outsourced enterprises. We focus on national and international sales opportunity generation and management. Our model is risk shared. Ottawa Public Library offers free access to online resources useful for your business. An online business directory, a powerful market research database, business plan handbooks with hundreds of successful businesses, and more are all at your fingertips through the OPL website, using your OPL library card and PIN. Business services includes seminars and workshops, and consultations by appointment with a business librarian. Pivotal Scientific solves the technological and operational challenges faced by government agencies, research and education institutions, and private industry in Asia. The company uses an established network in Asia and a deep understanding of industry trend and technology know-how to develop and nurture innovative opportunities for state of the art technologies and processes. It assists small and medium manufacturers selling products into the Asian market. The company also provides industrial ceramics for paper and pulp, oil, chemistry, and metal industries. Small Business Boot Camp offers a unique series of training courses designed specifically for entrepreneurs and small business owners. These courses provide knowledge and insights about starting and building a business that can make any business vision a reality. Our founders, Geoff Strotmann and Kumar Saha, have been mentoring, guiding, and educating entrepreneurs and small business owners for more than 20 years. In today’s economy, change is constant and companies need to pivot their business strategies to keep up. Strategy consulting is the practice of assisting companies with high-level decisions that enable them to earn superior profits and beating the competition. That’s where we come in. We focus on business strategy and the subsequent structure, management and operations needed to execute them. Geoff Strotmann is an experienced, competent and results driven professional with over thirty years of experience in the areas of business analysis, quality control, operations management, risk management, program management, and strategic sourcing. He has a strong focus on alignment of business strategy with both supportive infrastructure and repeatable processes. As a consultant, Geoff specializes in business planning, corporate governance, risk mitigation and process review and optimization. Tap into our expertise…tap into your success. Tap Strategy & HR Consulting is an Ottawa-based boutique-style consulting firm. We offer you a wide range of customized and cost-effective services and solutions for strategic business management, workforce planning, end-to-end human resources support, and professionally certified coaching that will help your business succeed. We serve clients in small and medium business, technology, NFP and NGO’s, government, and international companies with branch offices in Canada. Viva Networks is a leading satellite service and managed network solutions company headquartered in Canada. The company delivers commercial satellite internet communications and managed network services to enterprises and governments in remote regions of Canada. Viva helps companies go beyond traditional communications with high-quality, secure solutions for voice, video, data, and web browsing—wherever and whenever it’s needed.